SPONSORED FA CUP SELFIE COMPETITION – the brainchild of Trust Vice Chairman, Richard Atkinson. The challenge: to take a photo of yourself in Poppies colours at each of the teams that we have so far played against in the history of the FA Cup. As some of the teams no longer exist, or have moved grounds, then you can take the selfie either at each club, next to a sign for the town/city where each club plays (either a road sign, or station sign), or next to a famous landmark in the town. If more than one team plays in a town, then you can collect multiple points for one selfie. According to our list, there are 184 different teams, which can be covered by a total of 139 selfies. Of course, there is nothing to stop anyone collecting all 184! The Tin Hat Fund is starting to gather pace. The New Year’s Day Victory A3 size posters have sold well – 20 so far at £5 each with 40 posters still available from Martin Bellamy in the Clubhouse. The signed posters attracted bids totalling £430. Thanks to everyone who placed bids – we hope the posters have pride of place in your home! Thanks also go to Martin for organising this particular fundraising idea. The Challenge is too big! Ask all your friends, family and acquaintances to sponsor you for the challenge - either per selfie, or a set amount for completing the challenge. To enter the competition, simply email poppiestrust@gmail.com and we will provide you with everything you need. then. The most important part of all of this is of course raising money. Don’t have anyone to sponsor? Poppies Trust board member, Richard Atkinson, will be undertaking the challenge to collect all of the selfies (but will not be eligible for either of the prizes). You can sponsor him by emailing poppiestrust@gmail.com, with your name and sponsorship amount. The Trust is once again giving people the opportunity to join for just £5 during January. 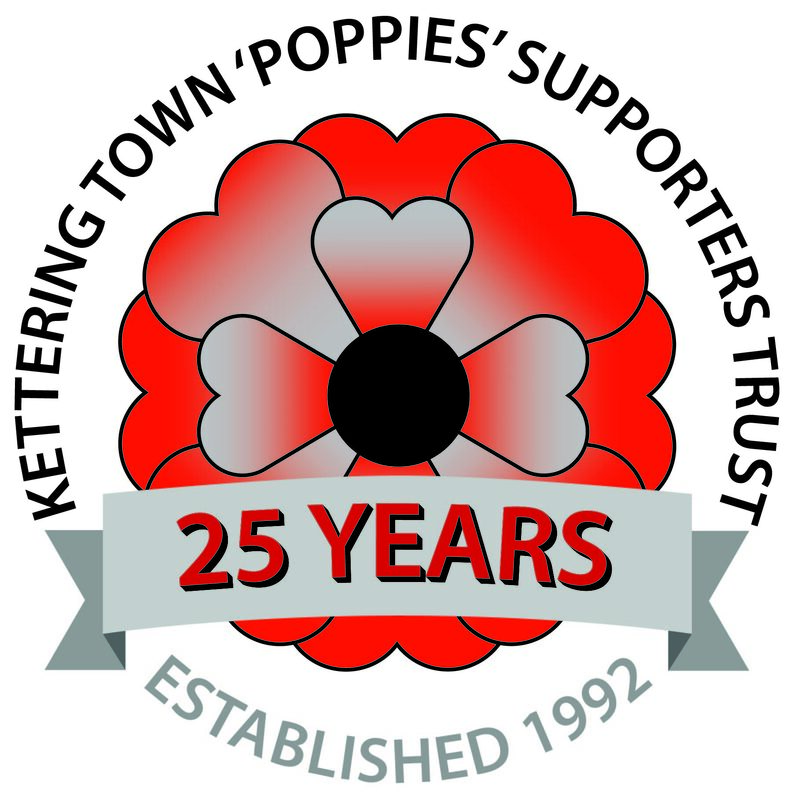 Just send an email to ktfc_trust@hotmail.com if you are interested, and we'll send you the details - or look out for forms in the club house at Latimer Park. to keep chipping away and picking up the points we need to cement our challenge to win this league.